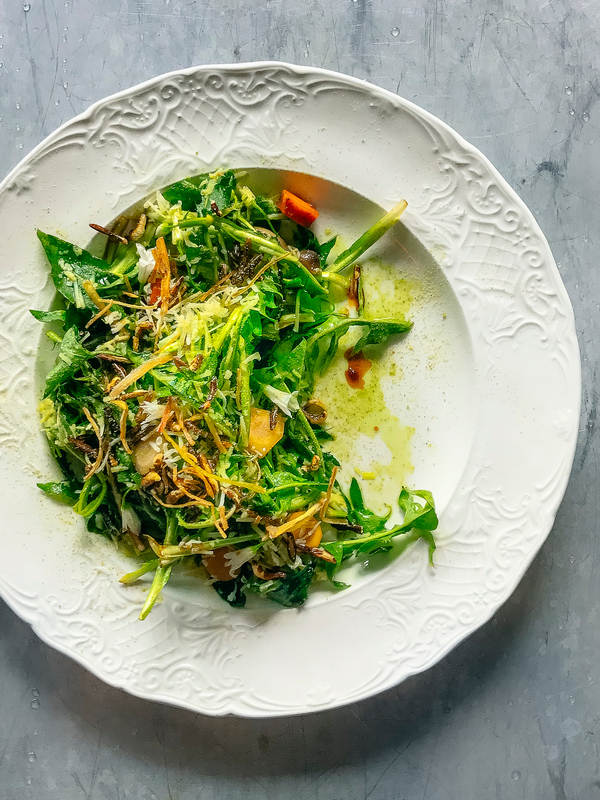 This puntarelle salad uses local dandelion but still reminds me of Rome. Dave did not love Rome. But maybe it’s because we got off on a bad start and our worst meal was the worst pizza of our life. Although that’s our fault since it was a block away from our hotel overlooking the Spanish steps. But after that slimey mistake we had some great meals in home. 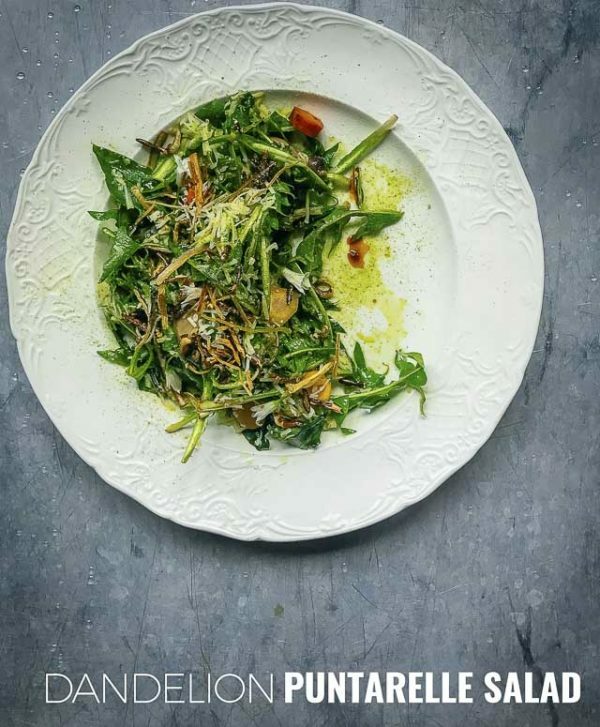 And one of the most memorable dishes was puntarelle (pun-ta-rel-ay) salad. 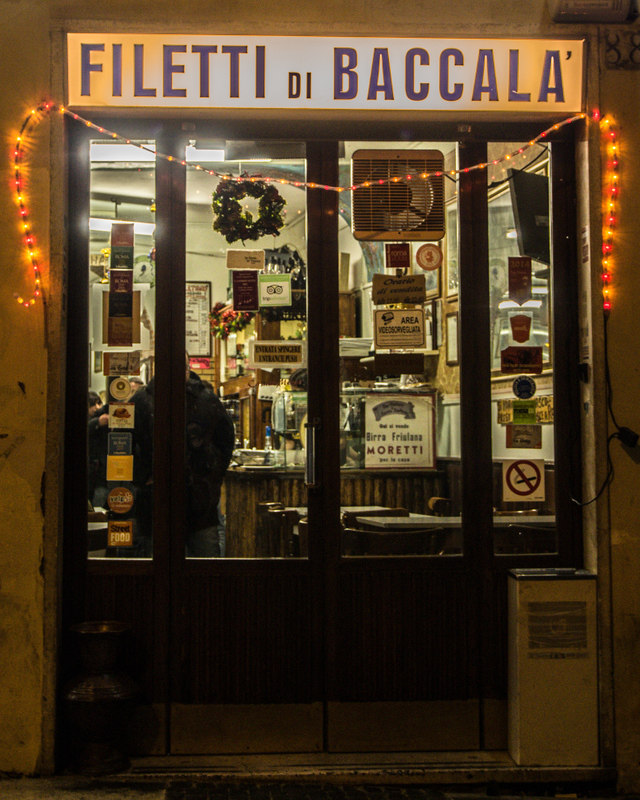 An instagram friend insisted we go to Dar Filettaro, a tiny Roman restaurant close to Piazza Navona. It’s famous for its cod and small seasonal menu. 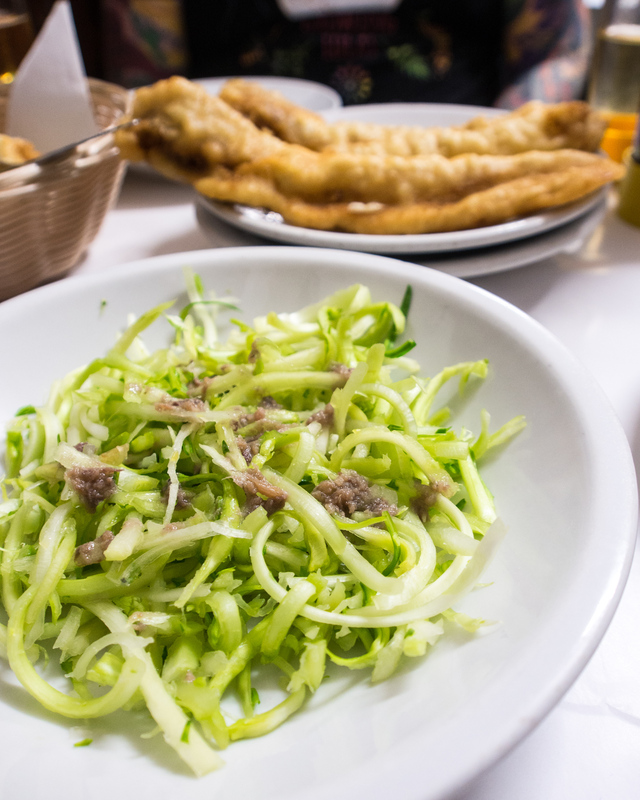 As we were there in January it was a puntarelle salad, and one of my favourite memories. Dar Filetto is the kind of restaurant that doesn’t really look like much from the outside, and actually also not on the inside either. But you go for the cod. The cod was very good but discovering puntarelle salad was amazing. Puntarelle is a type of chicory, it is a bitter green and not always easy to work with. On its own it’s almost too bitter to eat. 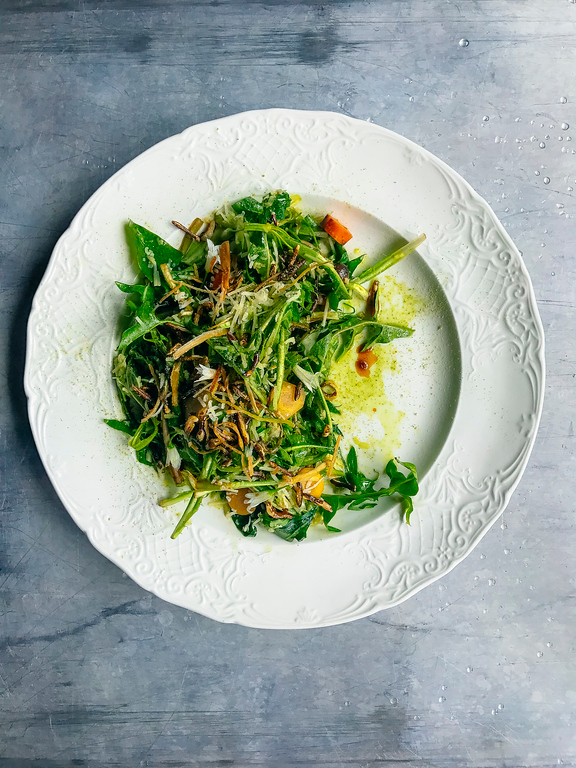 To prepare puntarelle salad you need to remove the outer leaves, julienne the inner plant and then soak it in ice water for up to an hour until it curls. But then the hard work is done as the classic recipe is served with a simple vinaigrette of anchovies, garlic, olive oil and red wine vinegar. This preparation tames the bitter green and brings out its flavour. It’s one of the few times you’ll get a dressed salad in Italy. In January it’s everything you want in a hearty salad. Last night I looked at Loka’s menu and saw that we were serving dandelion greens, Avonlea cheddar and crispy leeks. Dave smiled when I read the menu item aloud because we both knew what that dish was – the Canadian version of the puntarelle salad. 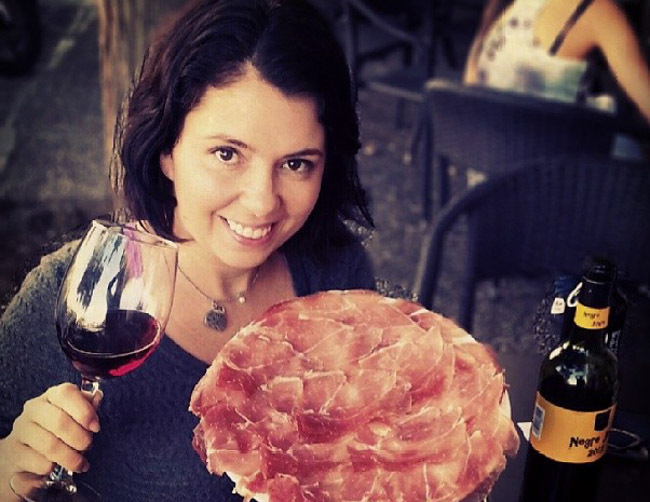 It was over two years ago that we had our epic 5-week meatcation in Italy but I remember that dinner like it was yesterday. I had to try this dish. So we dropped into Loka on our day off so we could share it again one more time. The puntarelle chicory isn’t commonly available in North America. We simply don’t have much of a desire of bitter greens, it tastes like endive but also with a touch of fennel. But dandelion is very close in flavour and in season right now. So this isn’t a traditional puntarelle salad and I’m sure it will draw ire from Italians. But I love this new interpretation of a great memory, dandelion is also bitter but more delicate for spring. The salty cheddar and crispy leeks balances out the bitter flavour. Preheat oven to 400F. Place bread crumbs on baking sheet and cook until dark brown but not black. It should take an 30-40 minutes. Cool and store in an air tight container. Will last 2 weeks or in freezer for up to 3 months. Heat canola over medium-high heat in a small pot. Add onion halves. Cook 8-10 minutes. Looking for dark charred skin and flesh. Add sherry vinegar and cook 2 minutes. Add water and sugar. Bring to a boil. Reduce by 3/4 and strain. Put everything into a bowl and mix thoroughly. Taste for seasoning and add salt if necessary but herring and cheddar are already quite salty so it may not be needed. This salad sounds incredible! I love dandelion in salads and too often forget to use it. I can almost taste it through the picture. Delicious! I love everything in this salad. The bitter greens, which I adore, the pickled herring, cheese, breadcrumbs for texture, and that syrup, wow. I would eat that any day. Wow! It look so delicious salad. all salad pictures looks amazing. I love this salad. Thanks for sharing it. I love this recipe, anything that calls for pickled herring! Such a fan. Food that brings memories 🙂 Always the best!